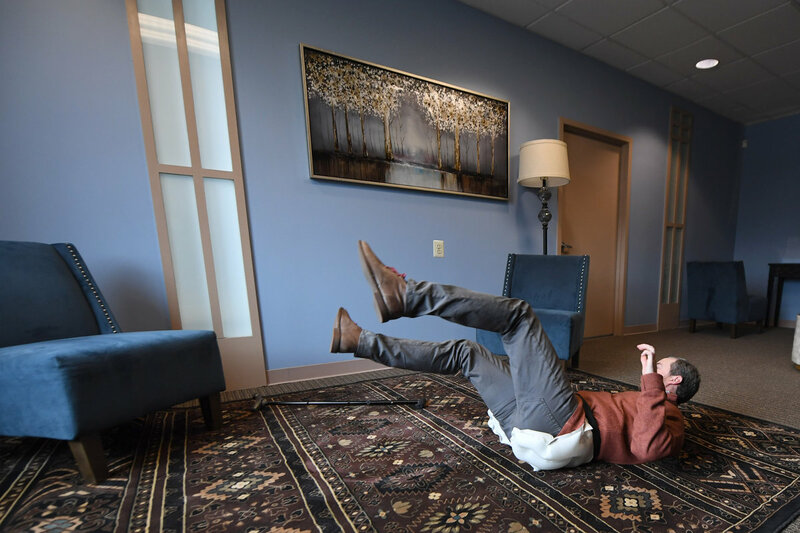 He’s taken 30 to 40 falls so far for the Montgomery County start-up ActiveProtective Technologies Inc. They were hard falls, intended to deploy an air bag contained in the 2½-inch-high belt McKinney wore, the contoured cushion designed to prevent serious injury to his hips once inflated. “The dawn of wearable air bags is upon us,” Lakatos said during a recent demonstration at ActiveProtective’s headquarters in Fort Washington. McKinney rose from a chair with the aid of a cane, turned, and dropped to the carpet, taking a direct hit to his right hip. Before his 5-foot-6, 140-pound frame landed, the quiet was broken by a sound resembling a balloon popping. Then an automotive-grade air bag made of showerproof fabric burst from his belt. The 2-inch-thick air bag expanded to the shape of a baseball mitt over each hip, with a piece across McKinney’s lower back that resembled a fanny pack. Physically fit and wearing padding on his arms, McKinney came through uninjured. ActiveProtective is not guaranteeing that its belt users will endure a fall completely unscathed. 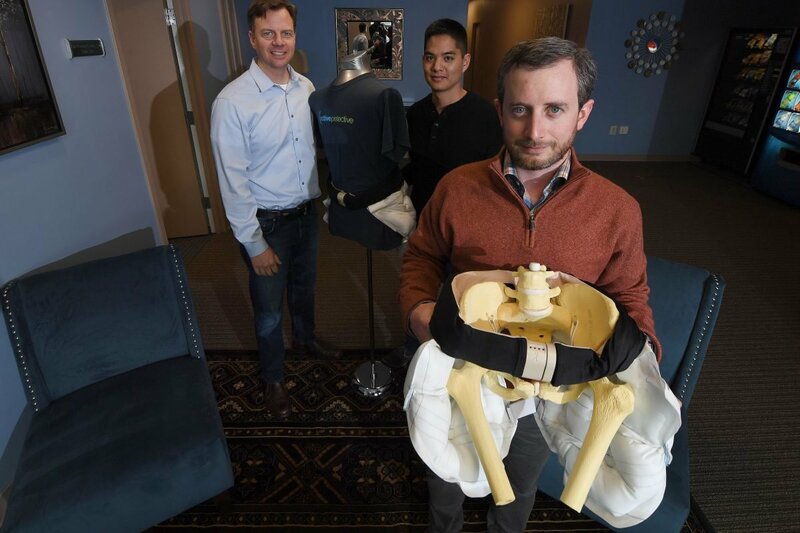 For instance, the air bags can’t prevent whiplash or a broken elbow, Lakatos said — emphasizing that the priority at this, his third start-up, is to prevent an often life-threatening injury. Inspiration first came at a 2006 Christmas party at St. Mary Medical Center in Langhorne, where Lakatos’ wife, a trauma physician assistant, was on call and had to respond to the emergency department for an 80-year-old woman who had fallen down stairs at home, hit her head, and broke a hip. The patient did not survive. Later at the party, Lakatos said he was told by Dr. Robert Buckman, a trauma surgeon, an ActiveProtective cofounder and inventor of its smart belt technology, that many of his cases were elderly men and women dying from falls. That, and Lakatos’ grandfather, Andy, who was showing signs of imbalance, planted a seed in the serial entrepreneur’s problem-solving mind. By then, product development and pilots were underway. And Lakatos’ grandfather had died. About three months later, an ActiveProtective board member’s father died after fracturing his hip in a hospital fall. “The stats around the outcomes of a hip fracture in an older adult are bleak, at best, and they haven’t changed in the last three-plus decades,” said Wamis Singhatat, vice president of product development at the company of eight employees. ActiveProtective’s objective was to come up with protection people would actually wear. Technology was key.